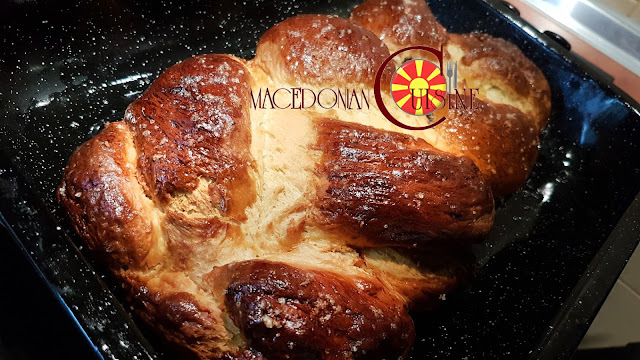 Macedonian cuisine is just another symbol of Macedonia's rich tradition. A large number of dishes that were eaten in Macedonia in the past, are still consumed today, a little changed, but still delicious. 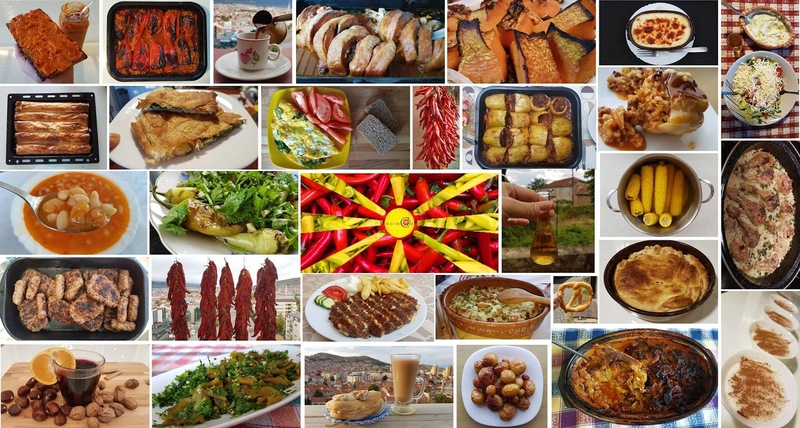 And the best of Macedonia can be seen through Macedonian cuisine. It is an inherent part of tradition. Macedonian food is one of the most delicious in the world. The secret of its irreplaceable flavor is that it's been prepared the same way for centuries: with lots of love. Some recipes have been restored and adapted to the present day. For all those who love garlic (like me), this is the real thing, you'll enjoy the taste and plus it will defend your body against cold and flu. Makalo goes well with barbecue and with everything else. The only drawback is that you'll eat a lot of bread :). A cup of homemade rakija, a cure for everything! Rakija or Macedonian brandy comes under the category of natural medicine, a secretly popular weapon against many diseases, together with olive oil, garlic, honey and other local products..so they say ... For stomachaches, colds, flu and similar illnesses, they say there is no better medicine than rakija. It will destroy all bacteria and viruses. Also recommended for muscle pain, not to mention for disinfection of wounds. Usually, drank as an aperitif, for a morning wake-up, with cheese and prosciutto, before and after lunch, facilitates sleep, to forget or to cheer. 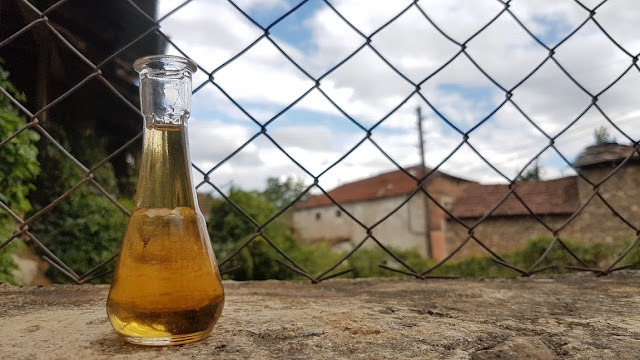 However, they say that who doesn't drink homemade rakia, hasn't been drinking rakija at all! Traditional Macedonian table without a plate of fermented milk? 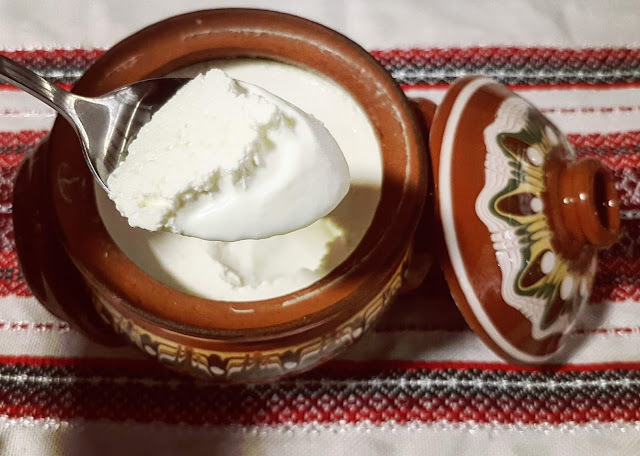 It is not Macedonian table!Especially in mountainous parts where farmers produce fermented milk with consummate taste due to abundant pastures which are rich with thyme, oregano and other aromatic plants.You can also easily prepare it yourself. My grandmother used to prepare fermented milk 2-3 times a week, I don't remember she ever bought one. With fresh whole milk and a little effort, your home can enjoy this extremely healthy food. 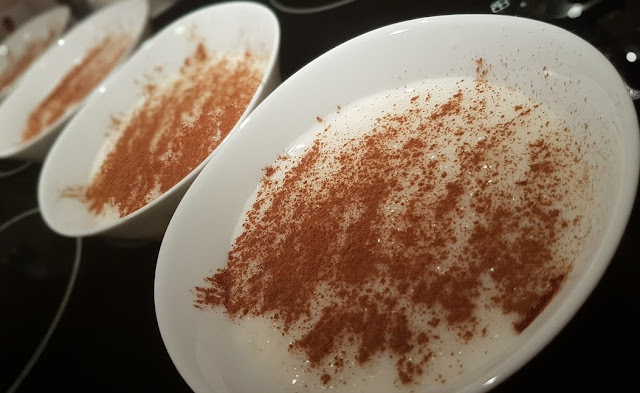 Tulumba is a popular dessert found in the cuisines of the former Ottoman Empire. It is a fried pastry soaked in syrup. 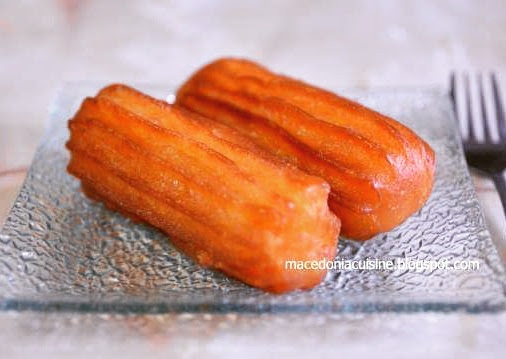 This is one of the most interesting delicacy in Macedonia, usually prepared for Easter. My mum prepares it every year and usually she and my sister in law eat it whole :) She prepares it in an earthenware pot and looks and tastes really awesome. It's prepared from the lamb intestines and they should be cleaned really good before cooking from understandable reasons. This dish is low fat and low caloric and goes well with good Macedonian white wine. 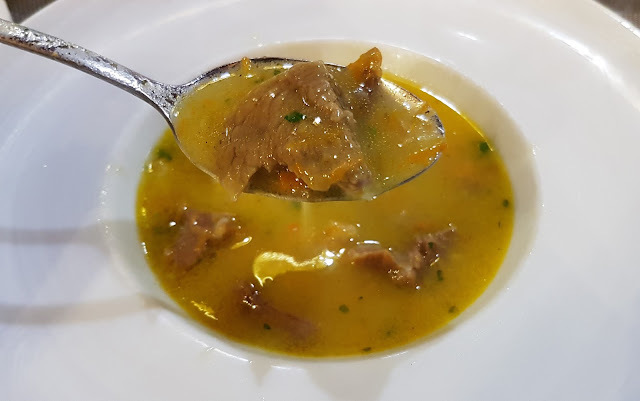 Who came to Prilep and has not tried shirden - it's like one has not been in Prilep.This recipe is traditional Macedonian heritage of Oriental cuisine and can't leave anyone indifferent. For those who don't know, shirden is the lining of the stomach of a lamb. To prepare this specialty, you'll need to spend little more time, but believe me, it's definitely worth it. Antique, some would say dish for poor :) My family loves it! Potatoes stew is usually prepared as a lean meal, you can prepare it with meat and if you're fasting, you can even prepare it without oil. You're choice! Pogacha is a traditional Macedonian round loaf. It's usually made for special occasions. There are various types of pogacha, you can make it plain, add filling etc. 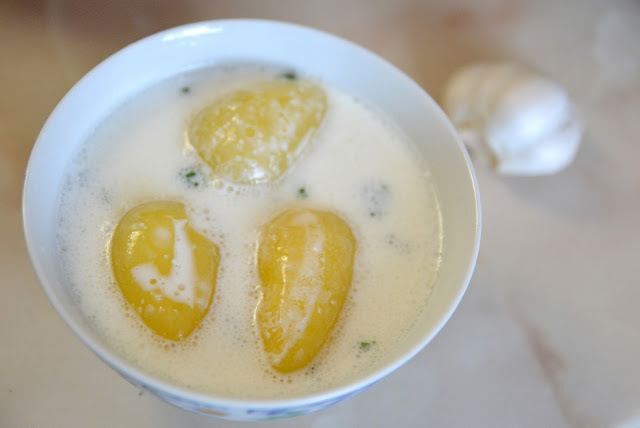 This recipe is about pogacha with white cheese, yogurt and eggs. As a wine country, Macedonia is both very old and very young, and has a rich wine history. 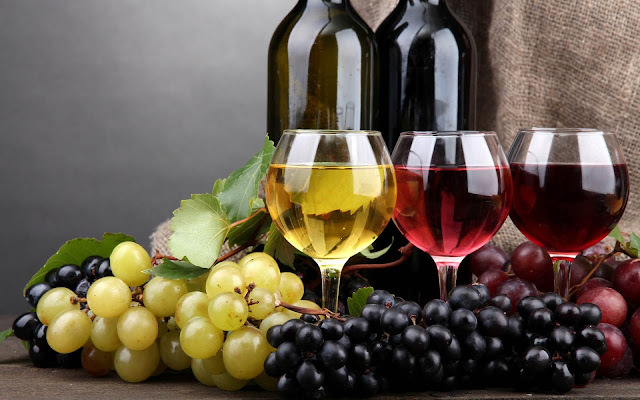 Macedonia has 24,000 hectares of vineyards and Macedonian wineries produce about 236,000 tons of grapes annually, which is equal to 220 million liters, putting the country in 25th place in the world. The official domestic consumption is about 10 million gallons, that's only 5% of Macedonian wine production that is used for domestic consumption. Macedonia was known through centuries as a country that produces wine, but producing quality wine began over ten years ago. The production of grapes and wine is around 17-20% of GDP, and wine is second most exported product after tobacco. 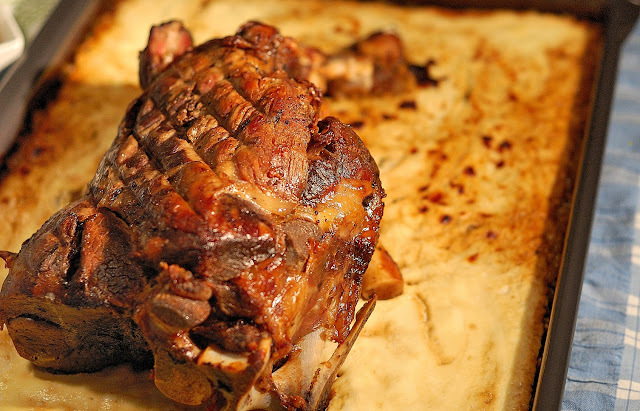 Podvarok is a traditional Macedonian food, often served with pork ribs or smoked pork meat. Podvarok is made with sauerkraut, but when you can not find it, use regular cabbage.This dish is perfect for this time of the year, especially because this is the time then sauerkraut is made in Macedonia. Every household buys at least 10 kg of cabbage and either makes sauerkraut or fills plastic barrels with whole cabbages. It’s part of making zimnica (relish) in Macedonia and on the Balkan. You can also prepare this dish with chicken meat. Gjomleze (ѓомлезе) originates from the southwestern part of Macedonia. It is a big soft white pie with a crispy crust. It is still prepared in the same way as hundreds of years ago; with a traditional cooking apparatus called a “sach” (сач). We don't use the sach in this recipe and it can also be prepared in the oven. 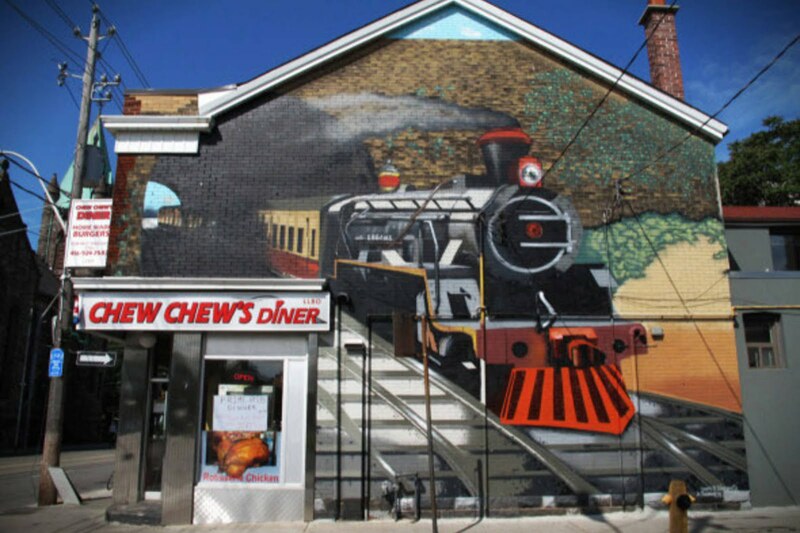 Be prepared to spend several hours for this specialty, but it's definitely worth it! 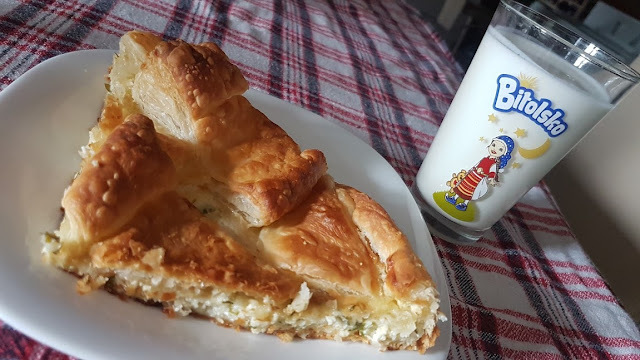 Burek is the best pastry in the world! 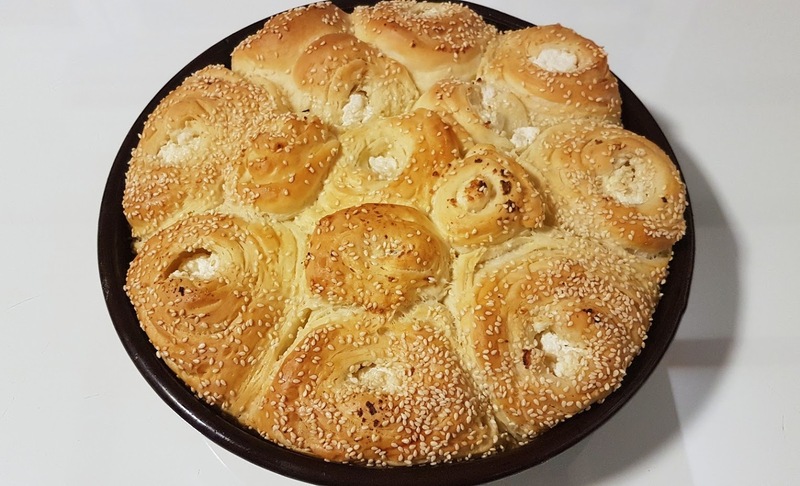 It's made of pastries filled with ground meat, cheese or spinach and it's found in the cuisines of all Balkan countries that used to be part of the Ottoman Empire. Previously, I showed you how to make burek with ground meat. Now I'll show you how to make burek with white cheese. Choose which recipe is better for you. Ohrid trout or the Lake Ohrid brown trout (Salmo letnica) is an endemic species of trout in Lake Ohrid. 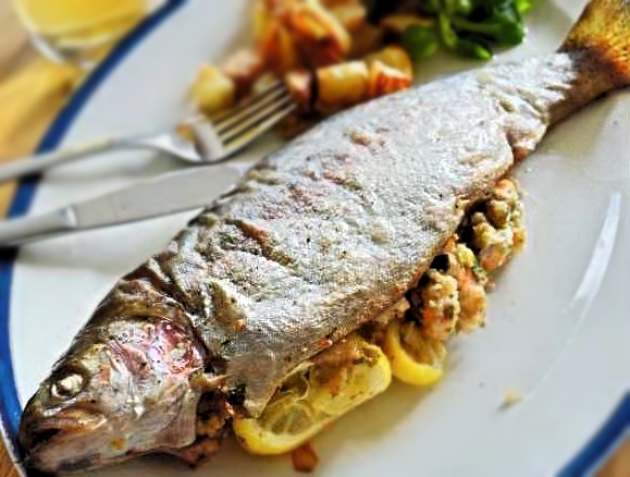 The Ohrid trout is a specialty in Macedonian gastronomy; it is used for soups and other dishes. You can also apply this recipe to any bigger fish. 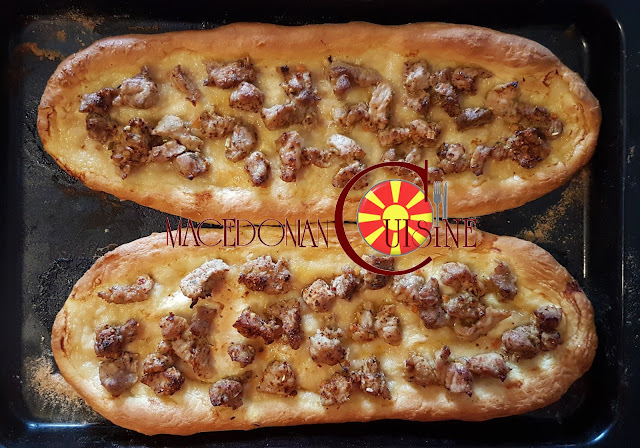 This Macedonian traditional tasty dish will win you with its unique taste. It is prepared relatively quickly and many are preparing this dish for Easter.Yogurtlitava looks great when served in cubes, and can serve as a lunch prepared for special occasion in the family. 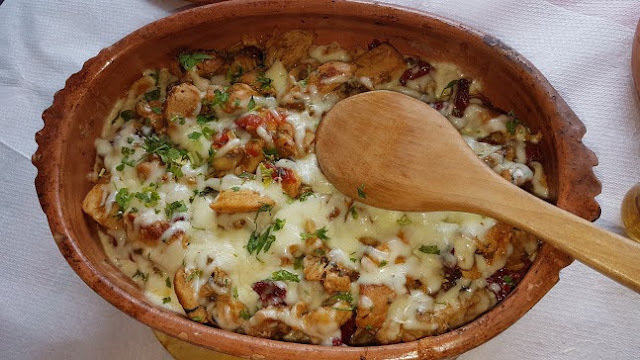 If you like baked chicken and cooked vegetables, then you need to prepare Macedonian gjuvech. I guarantee you'll like it. Bring some joy to yourself and your loved ones by introducing a new meal to your kitchen. 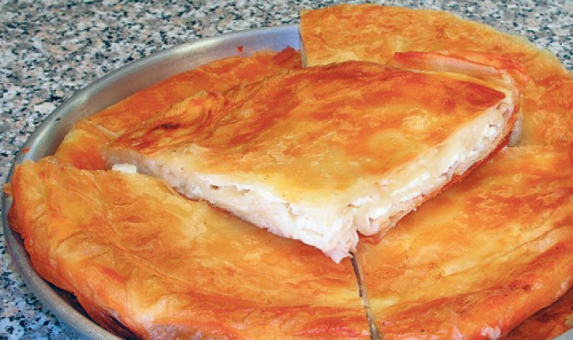 Zelnik is a popular phyllo stuffed pastry, usually filled with ground meat, spinach, cheese etc. Kozinjak is a Macedonian traditional homemade sweet bread with raisins, usually made in a form of a braid. It's a common treat for holidays, especially for Christmas and Easter. Meat stew is a traditional dish in Macedonia. 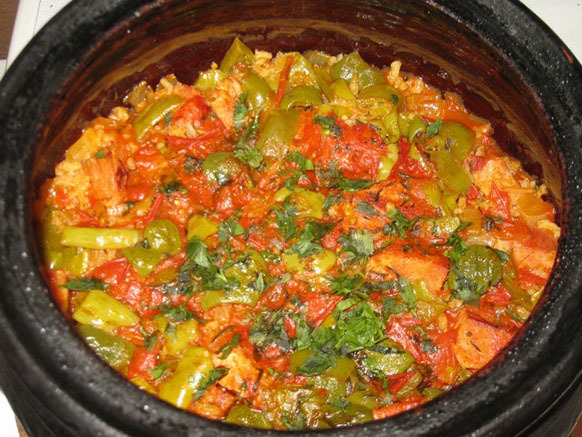 Veal stew, tripe stew and chicken stew (and somewhere and fish stew) are served in every restaurant every day from morning till afternoon, usually combined with garlic sauce (makalo) and fresh bread. It's hard to prepare a homemade stew like the ones served in restaurants, but this recipe is the best I've tried at home. 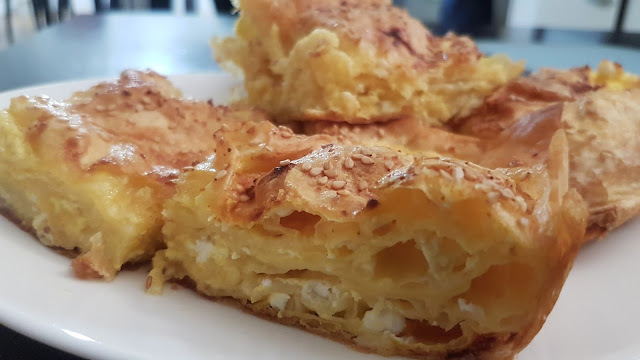 Gibanica is a popular traditional pastry dish made with eggs and cheese. It's very easy to make and very tasty. 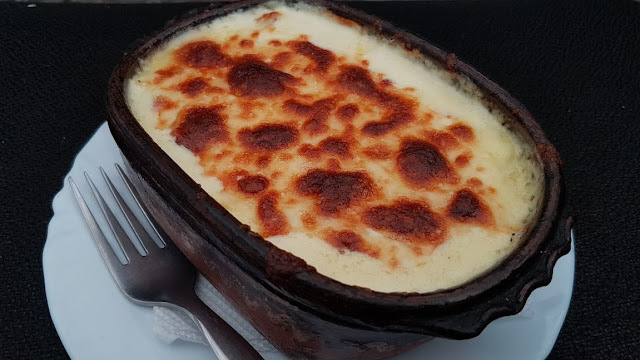 Melted cheese or cheese in oven is a delicious Macedonian specialty, which pizzerias and restaurants usually serve with nicely roasted crispy bread sprinkled with sesame seeds. Cheese in oven is combination of 2-3 different cheeses. If desired, mushrooms, bacon or other dried meat can be added for richer taste. 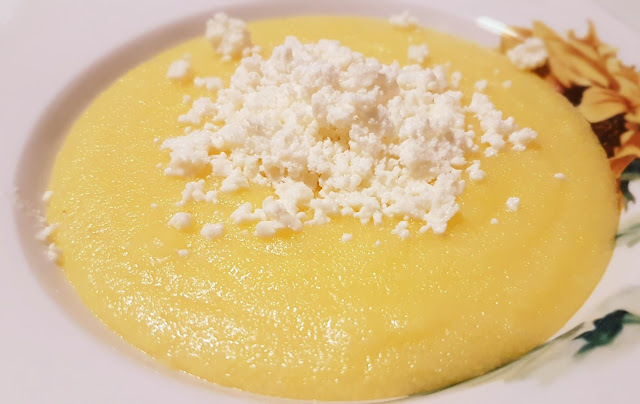 Kacamak is a kind of corn porridge made in the Balkan countries. It's known as bakrdan in Macedonia. It's a healthy food, especially eaten in the winter season. 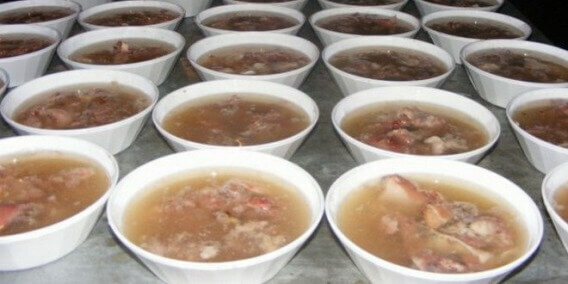 There are many recipes of village meat and everyone makes it according their own taste. It's a traditional Macedonian dish, basically consisted of meat and onion. It is usually prepared in winter. 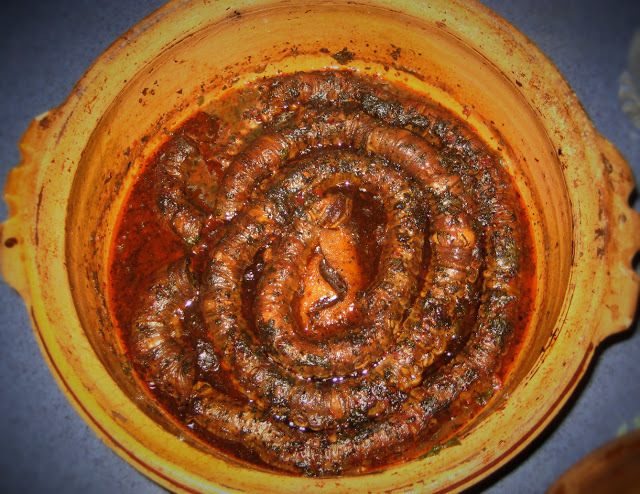 Turlitava is a common traditional dish in Macedonia. 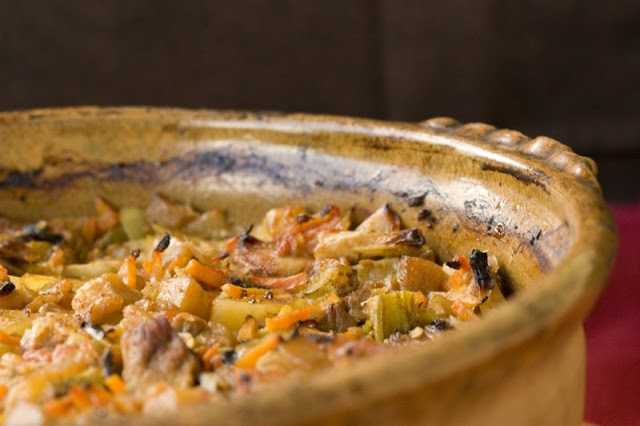 It's made of vegetable and meat stew baked in an oven in a traditional pottery dish. Turlitava arrives from Turkish words turli meaning mixed and tava, a pottery dish. Sutlijash originates in Turkey, it's a Turkish widely known dessert recipe. Today, it is prepared in every country in the Balkan, including Macedonia. 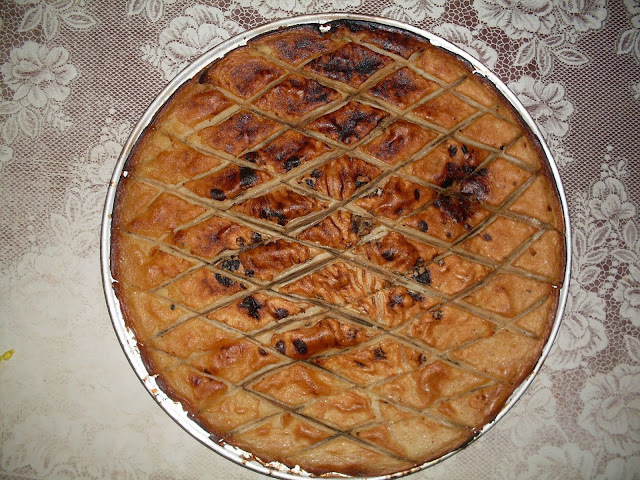 Sutlijash is a family dessert, it's easy to prepare and comes in large quantities. Ravanija is an old traditional dessert which is widely prepared in all countries that were under Ottoman empire. 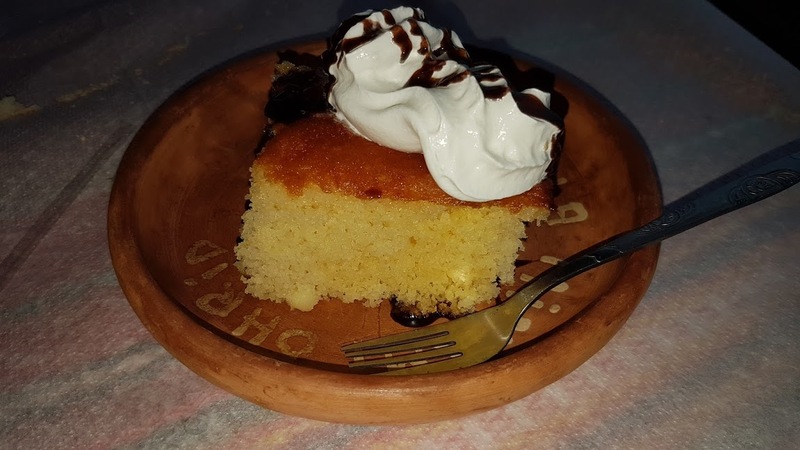 It's one of the most delicious desserts, it's easy to prepare and it's a must try sweet. 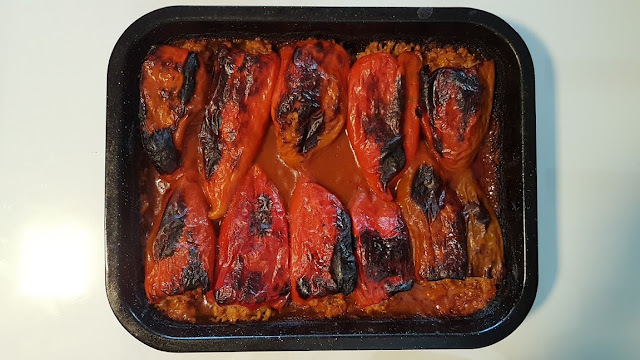 Piperki polneti or stuffed peppers, are also very popular dish in Macedonia. Peppers are stuffed with ground meat with rice and spices then baked in the oven. Pastrmalija is a traditional oval shaped baked dough pie. It's usually topped with salted, cubed meat. It reminds me of pizza in some way. There's a national festival for this dish in Macedonia which is a prove how good pastrmalija is. 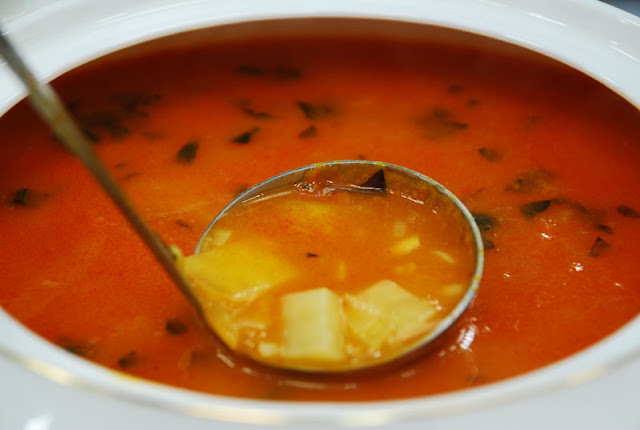 Аjvar is a favorite Macedonian traditional dish which marks the beginning of fall/winter season. 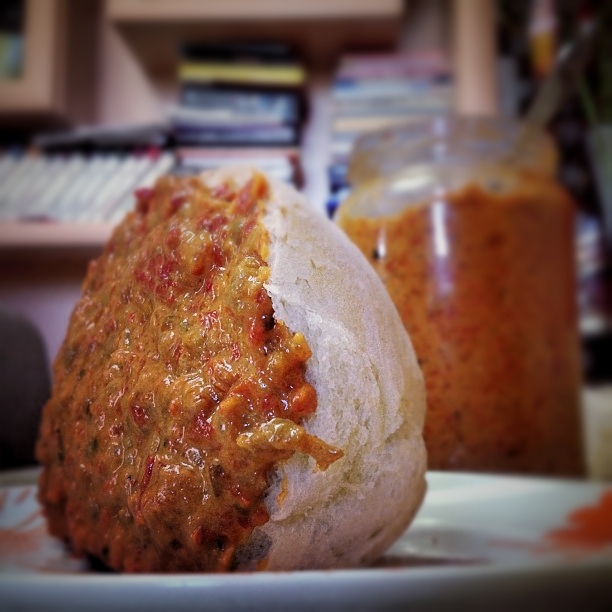 Ajvar is known as the ideal companion to cold winters, it's a food that has no adequate replacement, and in combination with cheese creates irreplaceable and unique pleasure in your mouth. When you say salad in Macedonia, you mean Shopska salad. 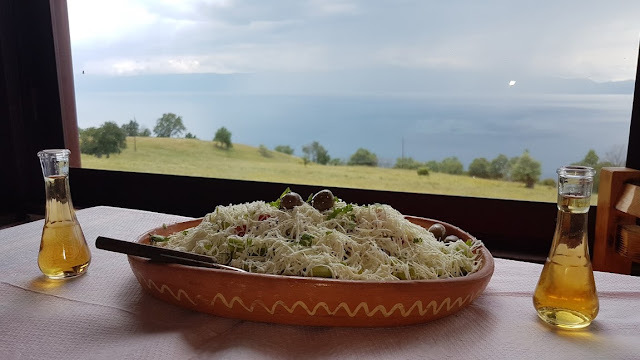 Vegetables used in this salad grow naturally in Macedonia, people from all around the world say that they've never tasted such a good tomato or a cucumber as in Macedonia. I especially recommend this salad in summer. 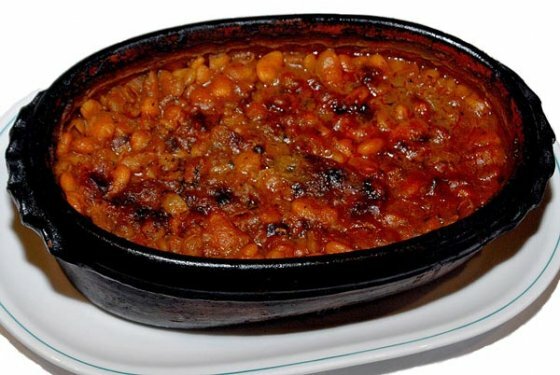 Baked beans or tavche gravche is a traditional Macedonian dish which is made in a traditional earthenware. It's one of the most famous Macedonian dishes, healthy and easy to prepare. 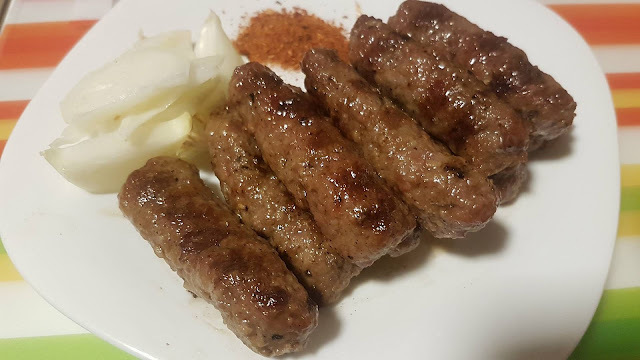 At first, I have to say that if you want to eat really good kebapi, you have to visit Macedonia and eat them in a good traditional restaurant. If you can't do that, then, here is a recipe. 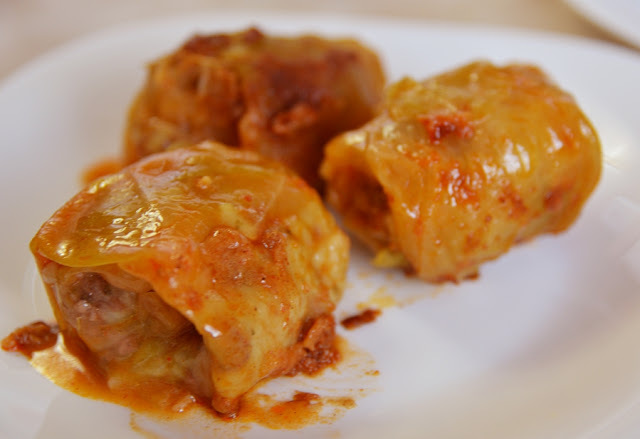 Stuffed cabbage rolls, or sarma, is a traditional Macedonian food which is prepared mostly in winter. Since it is prepared in larger quantities, sarma is usually eaten for several days. If you can resist the temptation, eat it the next day after preparation, it tastes better! There are plenty of moussaka recipes, this one is simple and I use it very often to prepare one of the most delicious Balkan foods. 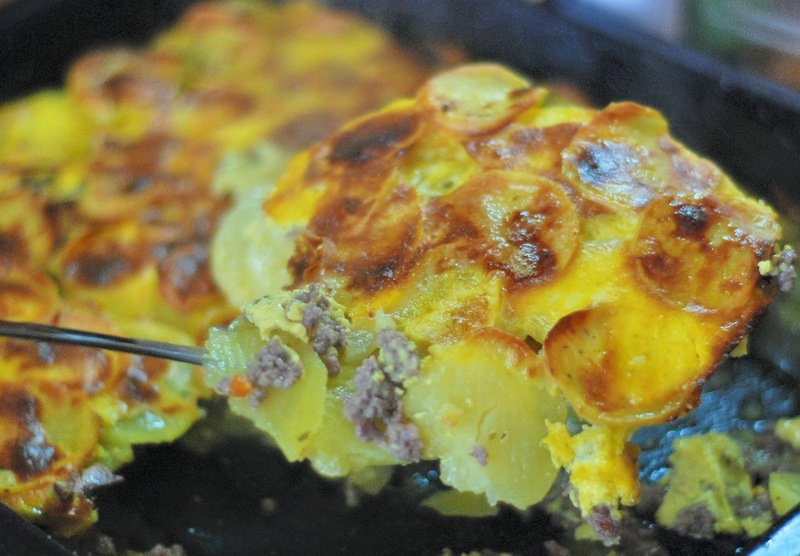 Mainly it is prepared with potato slices and minced meat. 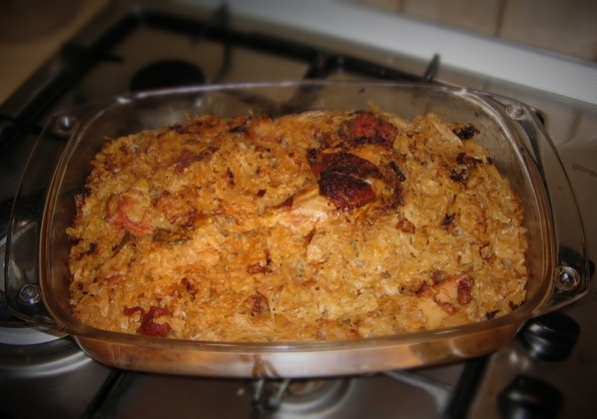 Piftija is a traditional Macedonian dish usually served in winter. 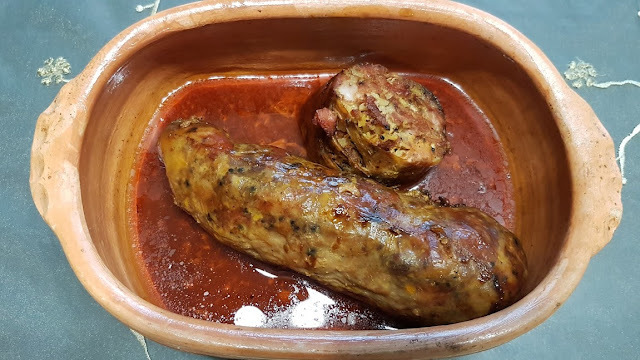 This dish when cooled congeals because meat naturally contains gelatin.Each house has its own recipe for piftija and usually recipe never changes. 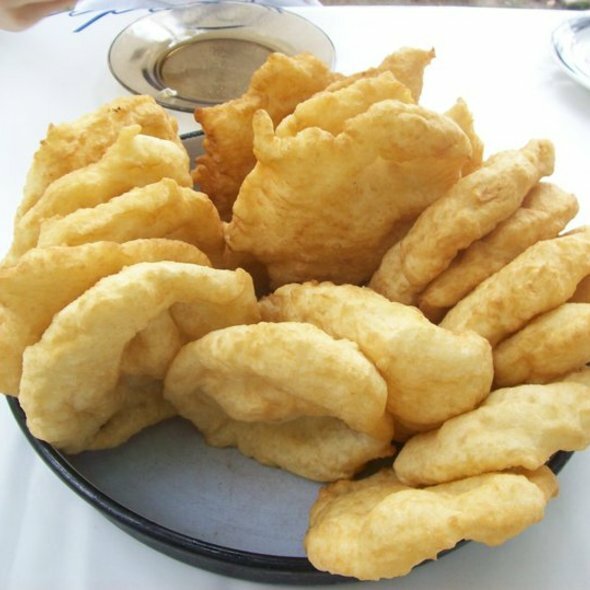 Mekici are a type of fried dough, very popular in Macedonia. Their taste is similar to doughnuts. It's a tradition that when a baby is born, the grandmother prepares mekici for the newborn :) They can be homemade or purchased in bakeries.